It’s no longer a given that if a child spends twelve years in school, he or she will learn enough to succeed in higher education or a career. To address this issue, some educators are taking bold measures to help students. Traditionally, classes move forward, covering the curriculum according to schedule. Students are taught the same materials at the same pace. If a student fails to learn a skill, he or she accepts that result and moves on to the next topic with the rest of the class. Competency-based learning, on the other hand, insists on mastery of subjects and provides students the time to learn; the students are not marched past failure. There are challenges to this methodology as well, but it is slowly gaining acceptance and has been around long enough to develop some best practices. School districts that have seen success with this model carefully laid the groundwork for this fundamental change away from a traditional model of education. They also designed the infrastructure that supports it and learned some big lessons during implementation. Students advance when they master the content and skills, not because they squeaked by with a C or a D grade. Transparency about where students stand empowers them and enables educators to better tailor instruction to their individual needs. Assessment is a continual part of the learning cycle, not a final judgment at a time when a student has no hope of changing the outcome. Educators offer timely support, often daily, on any part of the required material. Students must be able to demonstrate that they can transfer their knowledge to new contexts, applying skills to challenges they’ve never seen before. This often means developing life-long habits of learning. “It’s not just about pacing,” said Chris Sturgis, author of the report “Implementing Competency Education in K-12 Systems: Insights from Local Leaders” by CompetencyWorks. “It’s much more about flexibility of resources, time and effort to make sure students are successful.” Competency education is often conflated with flexible pacing because in both models students in the same classroom are working on different aspects of the curriculum. However, competency education requires a much bigger revisioning of the school system beyond the traditional paradigm. “What we are talking about here is a complete restructure,” said Virgil Hammonds, who just wrapped up a stint as superintendent of RSU2 in Maine and previously led competency efforts in Lindsay, California. He likened the process to a home-remodel where the whole building is knocked down to its foundation and built anew. To undertake this kind of big project a district needs to take a systems approach to teaching and learning, gathering input from all the stakeholders, listening carefully, incorporating those ideas in real ways into the plan and developing a strong shared vision and district culture. “I have come to firmly believe that if this part isn’t done well then districts may have difficulty implementing with fidelity since the culture of the traditional system remains intact,” said Robert Crumley, superintendent of Chugach School District in Alaska. It took Chugach almost three years to complete this ramping up phase. Crumley and his staff held dozens of community meetings, inviting parents, students, educators, business leaders and community members to share their input for a new vision of school that put students at the center. The district already had a lot of unflattering data telling them they needed to try something new or else fall behind. After the initial input-gathering period, the superintendent and the school board made a public five-year commitment to making changes based on that input. “That public commitment was instrumental in staff having confidence that we were going to continue with this,” Crumley said. He’s well aware of “initiative fatigue” that many educators feel when new education fads come and go. But the public commitment helped gain their trust, as did the obvious incorporation of their ideas into the new plan. Engage in complex work with a sense of mastery. Give them some autonomy over what they do and how and when to do it. “When you empower people you are actually giving up a little of your power and handing it to someone else,” Crumley said. “That can be a little scary for some people, but it generally garners greater results for the system in the long term.” Crumley even found that some of the loudest voices pushing back against the changes soon became his strongest allies. When they saw that their concerns were listened to and addressed, those vocal opponents who were often charismatic leaders in their school communities, saw their way toward the shared vision. “Often times their concerns were valid concerns that we needed to address and they helped us address them,” Crumley said. If a teacher felt so misaligned with the new system that they didn’t want to work there, the district helped them find work elsewhere. “We need to model the conditions of innovation and problem-solving as principals and district administrators,” Crumley said. That means not letting bureaucracy get in the way of innovation. It means creating the conditions where staff feel they are safe to experiment and tinker with their practice. Many districts trying to implement a competency education don’t spend the necessary time ramping up to this kind of sweeping reform, instead jumping right into designing the infrastructure as though it is a technical problem. But without the buy-in of the community, school board, staff and students, the reform effort is likely to flop. The infrastructure must be built on a strong foundation. “We need to model the conditions of innovation and problem-solving as principals and district administrators." Teachers need to work together to clearly define the scale for how students will achieve mastery and what qualities will be included. While all students are held accountable for the same high expectations and the same competencies, they will each show their mastery in different ways. Teachers have to be ready for that variance, embrace it, and know what they are looking for to maintain rigorous standards. There’s no “right way” to transition into such a drastically different way of thinking about school because the unique factors of each district and community will play a big role. Asking the community what they want their graduates to look like is a good way to start. Preparing students for what the new system will be like and preparing them to take on more autonomy and agency is also crucial. Where does student agency fit in learning? 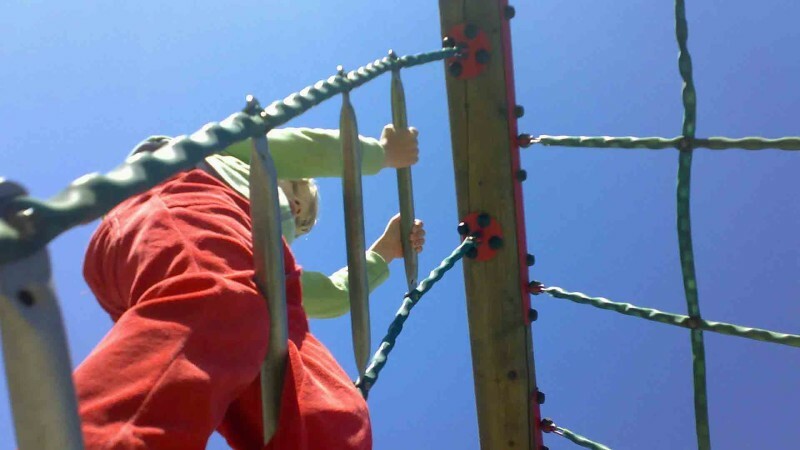 What role do habits of learning play, and how can they be developed in students? What does the research tell us about effective instructional practices? What are the types of assessment, and what role do they play in achievement? What types of learning experiences are needed to help students reach graduation goals? Given your current student population, their academic needs, and their life and learning experiences, how might this inform your school design or pedagogical approach? What challenges and educational needs can online and blended learning help you address? How do parents and the community at large think about these questions? Clearly defining the competences and the indicators is one step. Designing rubrics that clearly link back to those competencies is another equally important step that often gets overlooked. In hindsight, Hammonds wishes his team had spent more time designing the assessment rubrics. “When assessment goes beyond the level of retrieval (the goal of this kind of system), it is extra important to define things like what reflection looks like,” he said. Pittsfield School District in New Hampshire had a slightly easier journey to competency than Alaska or Maine because the state passed a law requiring high schools to implement competency education by 2008. That law has been ignored or implemented with varying degrees of effectiveness in different parts of the state, but it did help provide some support as schools began to define indicators of competencies. For two years Pittsfield educators did research, visited other schools and began identifying teacher leaders who would pilot ideas in their classrooms. Those teacher-leaders eventually put together “Do’s and Don’ts” for peers based on early experimentation. In the first year, the district devoted a lot of resources to writing the competencies, checking them against a rigor tool the state provided and training teachers, said Derek Hamilton, dean of operations for Pittsfield School District. A panel of excited teachers who deeply understood competency education dug into the district’s current grading practices and policies, revising them to fit the competency model. They wanted to be sure teachers felt they could be consistent from class-to-class and grade-to-grade. Teachers got student feedback on whether the competencies were clear. In the second year, the district presented the competencies they’d developed to the community. While parents had been clear about the general skills and dispositions they wanted students to graduate with, they hadn’t participated in the nitty-gritty competency writing and they needed to be brought up to speed. In the third year, Pittsfield implemented the system throughout their 7-12th grade classes. It was bumpy at first, but Hamilton said when students led conferences with their parents and teachers, it all started to become clear. The parents could see how their child’s work connected to the rubric. This stage helped solidify support. “We understood that in order to make this transformation we needed to find time to do it,” Hamilton said. School starts late once a week so teachers can have professional development time that's crucial to working out the kinks in the new system. The first several years gave teachers and administrators a lot to reflect on, and in the fourth year teachers saw the need to better support students moving ahead or behind pace. They also implemented a support block on Wednesdays entirely dedicated to one-on-one support. They recognized that if time were truly flexible for students, then educator resources needed to be available in the summer too. Teachers began holding office hours, for which the district paid them, to support students who were still working on competencies. These early adopters are continuously engaged in a process of reflection and fine-tuning to improve the education they are offering. Just as the competency education model acknowledges that learners are individuals with unique interests and learning needs, so too educators need space to figure out this new style of teaching. While the concept of only moving a student forward when they can clearly demonstrate mastery of content and skills sounds simple, it’s a big departure from the traditional model and requires a period of adjustment in a supportive environment. Read the full report, "Implementing Competency Education in K-12 Systems: Insights from Local Leaders" for many more details and examples of how to implement a competency-based approach.